How long does it take to complete the welder training program? It depends on the level of training you would like to complete. We offer daytime and evening classes to accommodate your schedule, which are both equivalent in hours, but due to the shorter class periods in the evening, our night classes take longer to complete. If taken during the day time, our fundamentals class takes 2 weeks to complete which will provide you with a basic home hobbyist level of experience. Each additional class will take 3-4 weeks. 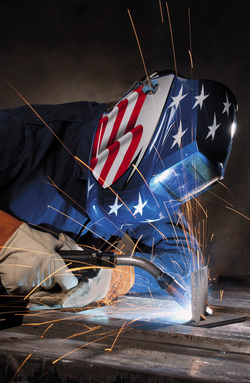 If you are starting a career in welding, we recommend taking a minimum of 3 classes. Of course, with any trade, the more training you receive, the better you are positioned within the job market. To complete all the classes, it would take about 6-8 months. To view our schedule for classes, please visit Pricing and Class Schedule.